Breast Cancer Action believes food should be safe for all of us, not just those who can afford to buy organic. We recently joined Breast Cancer Fund and MomsRising.org to demand that Campbell’s Soup Company stop using the cancer-linked BPA in their canned food products; please join us in supporting this campaign! BPA, or bisphenol A, is an estrogenic chemical linked to breast cancer found in the lining of canned food. Canned foods cost less than fresh and organic foods. While some of us can afford to eat organic or buy BPA-free canned foods, thousands of us are exposed to BPA on a daily basis, especially those living on limited incomes who neither have the money nor access to fresh, affordable produce. The onus to ensure our canned food is safe does not lie with consumers; it rests with manufacturers. 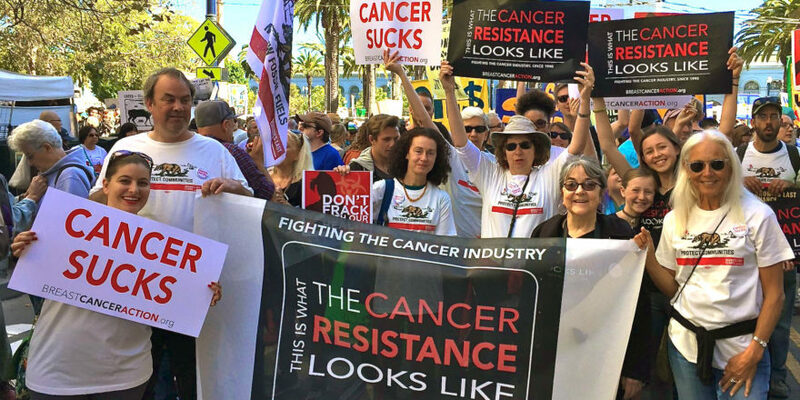 Corporations who are making us sick need to be held accountable. 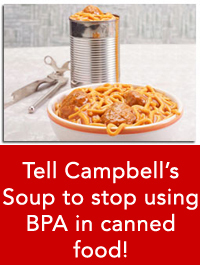 BPA must be removed from food cans. Campbell’s claims that they “work hard to provide products that you and your family can feel good about eating.” Well Campbell’s, you need to work harder! Removing BPA from the lining of canned goods decreases the ongoing exposure to this cancer linked toxin. Join us. Sign this petition to Campbell’s now. Together we can make a change that’s good for all us. Already signed the petition? Please, ask your friends to join you in taking action. *Campbell’s has been aware of this issue since 2009. ← Monopolies and Gene Patents – Think You Own Your Genes? Think Again! I lost my husband and sister in-law, clean up the food industry. its killing us.